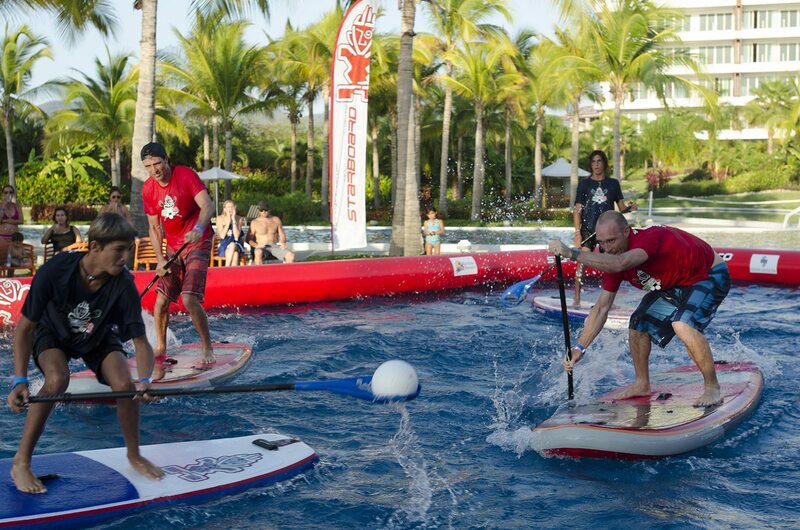 SUP Polo will keep you on the edge of your board, while trying to score on the adversary’s goal area. 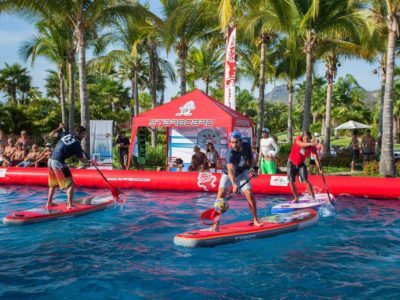 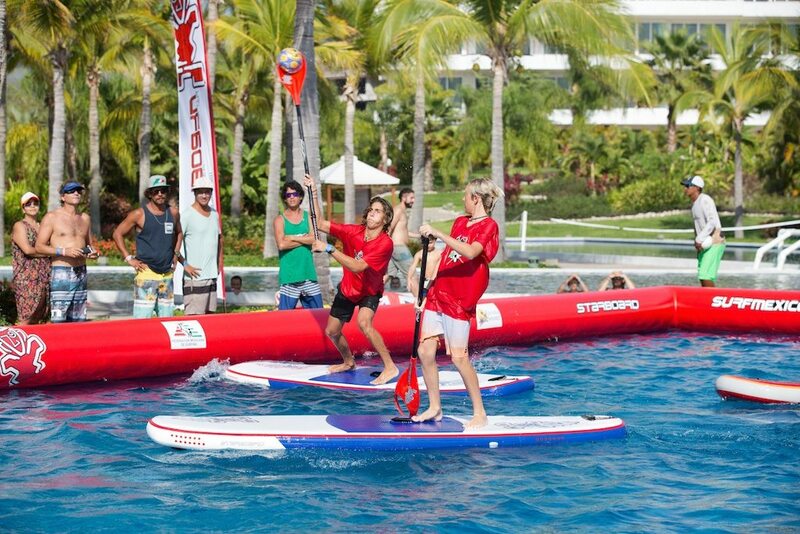 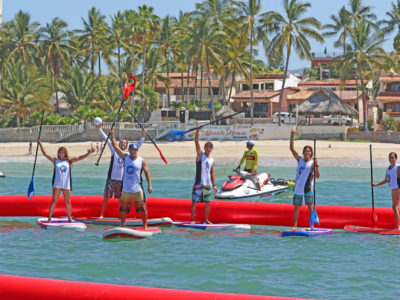 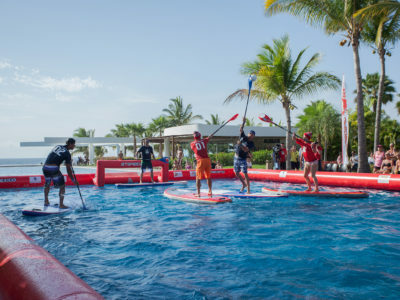 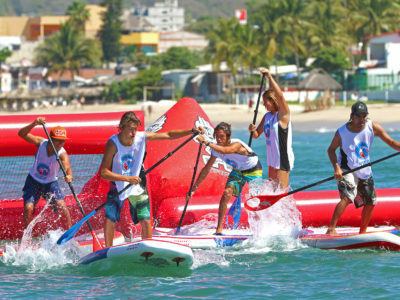 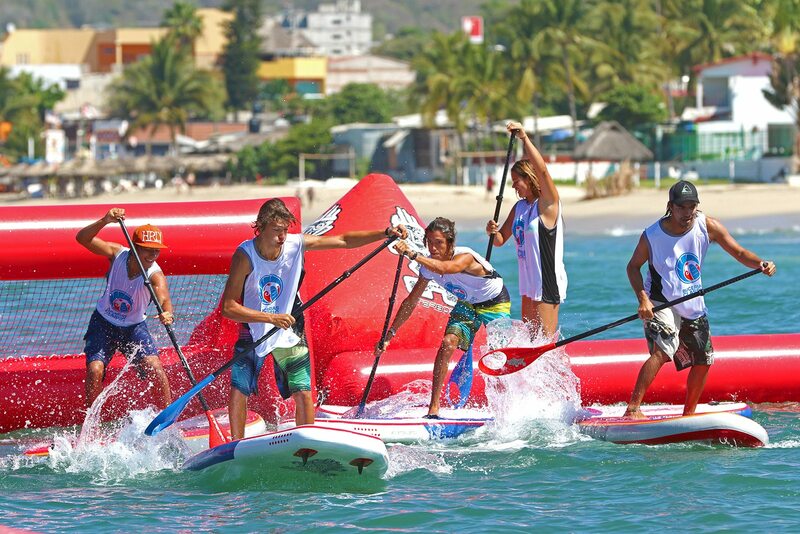 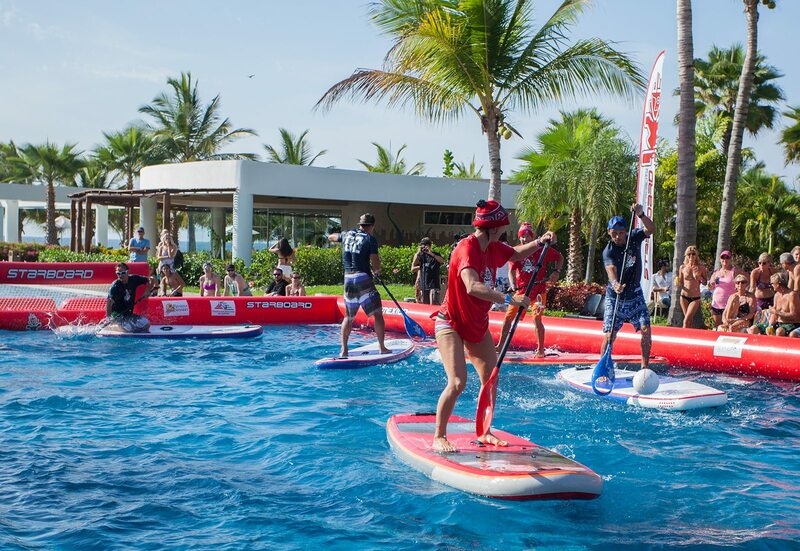 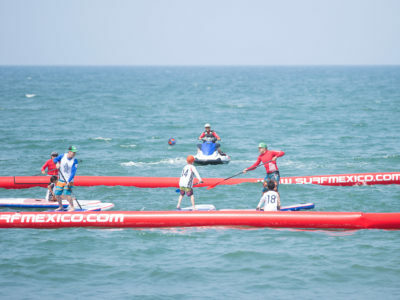 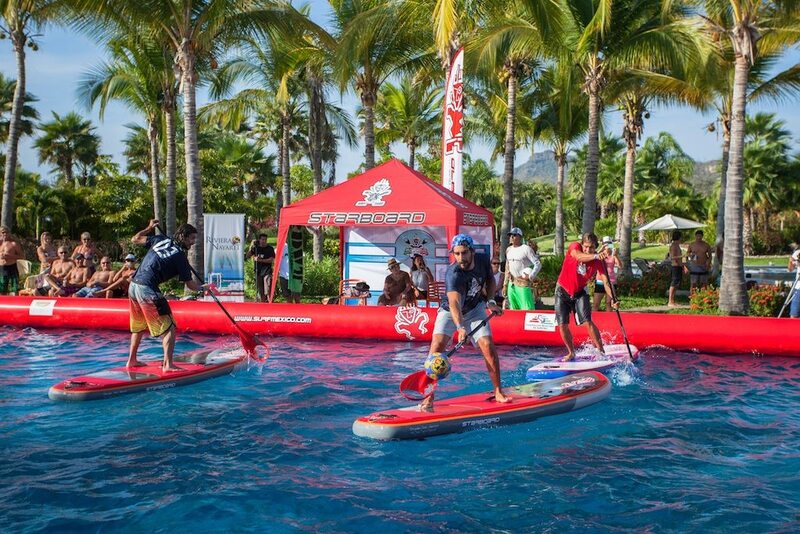 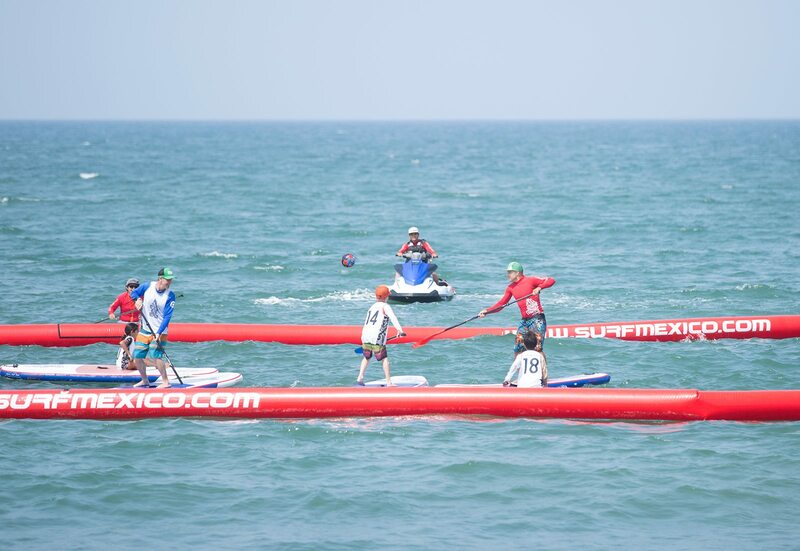 Requires 2 teams consisting of 3 competitors on each to work together to score more goals than the other using the SUP Polo blade to shoot, while also paddling on their SUP. 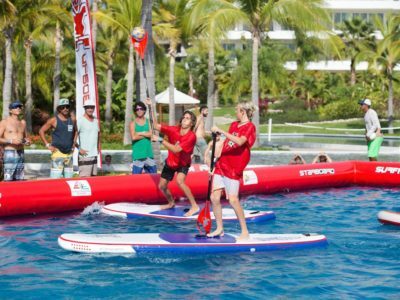 Think of your team and have fun playing on a polo court in the water! 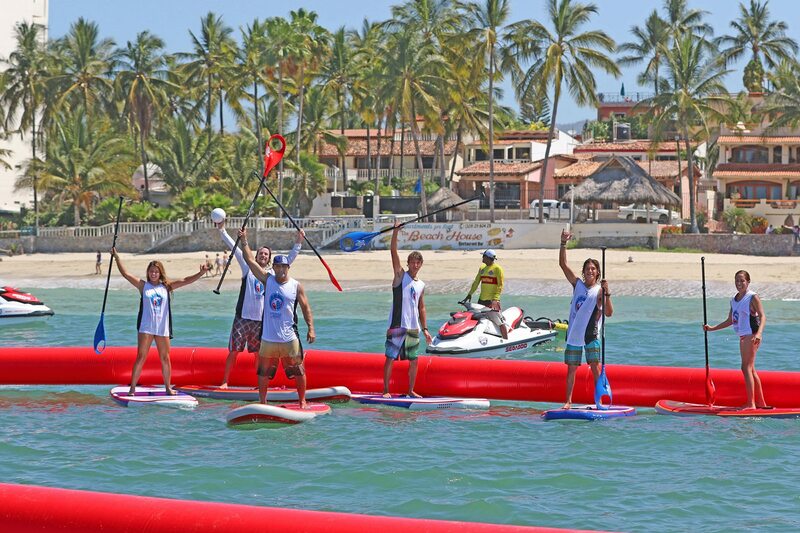 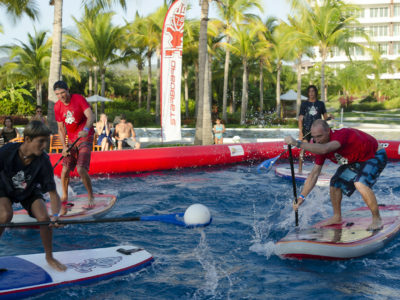 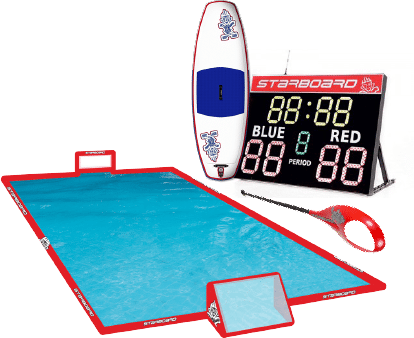 Try to stay on top of the SUP board and score as much as possible on each of the two 5 minute halfs. 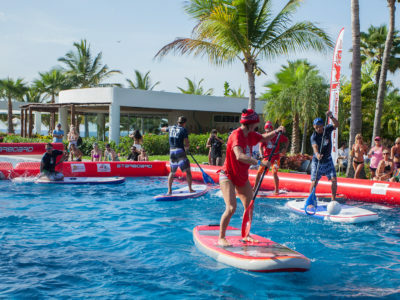 A great team building activity for your corporate event or marketing activation, great for networking in any water environment: POOL, OCEAN, RIVER, ESTUARY. 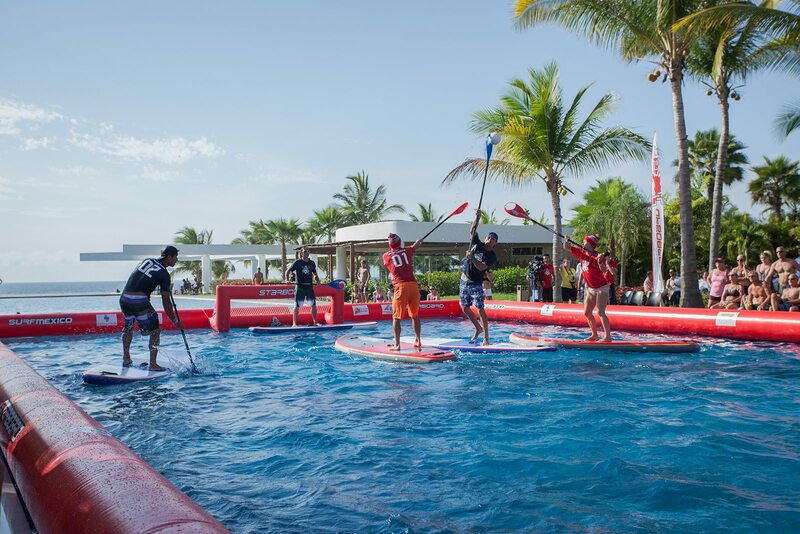 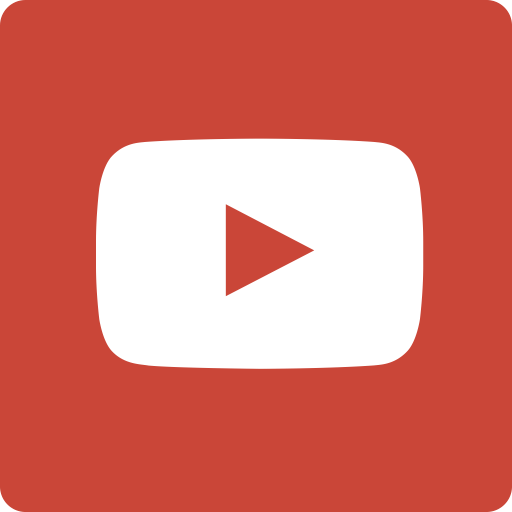 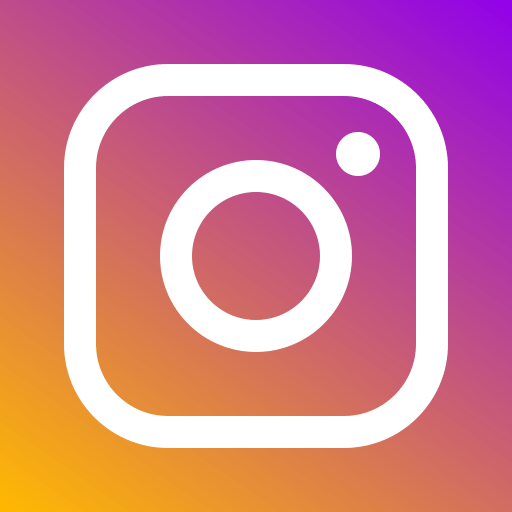 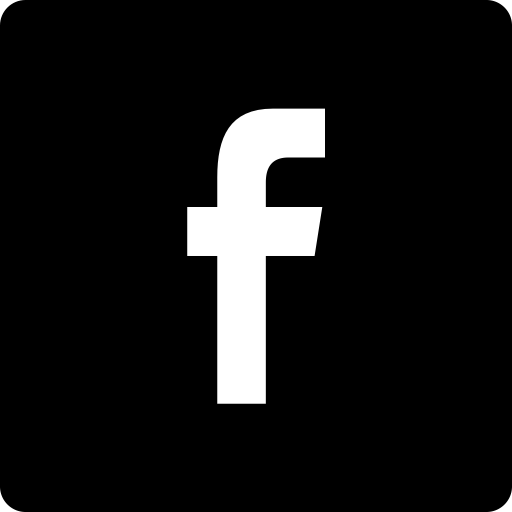 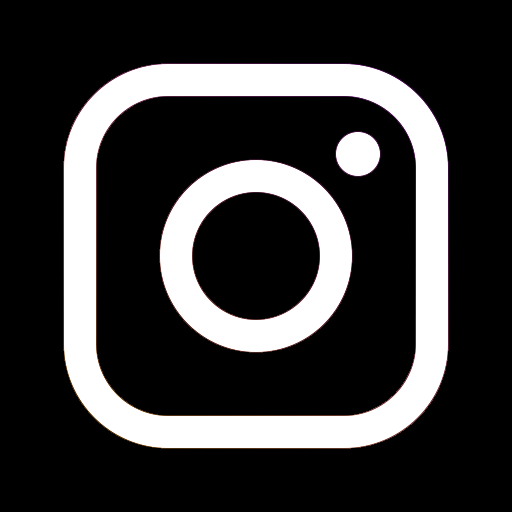 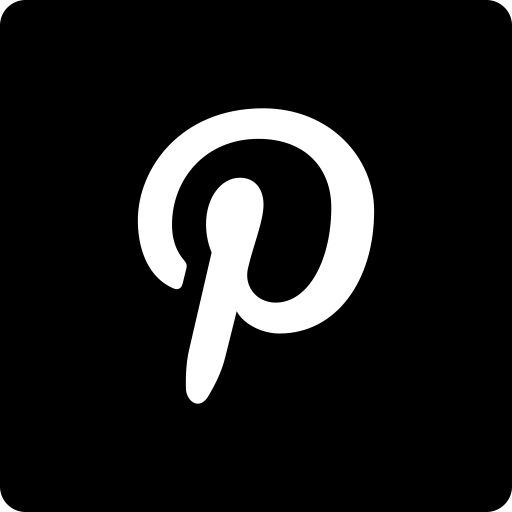 all event logistics, providing hours of fun and entertainment for your group of any size.